I’m starting to amass a collection a liqueurs that I don’t know what to do with. Part of the problem is that for months now I’ve wanted nothing more to drink than champagne and Manhattan’s night after night. 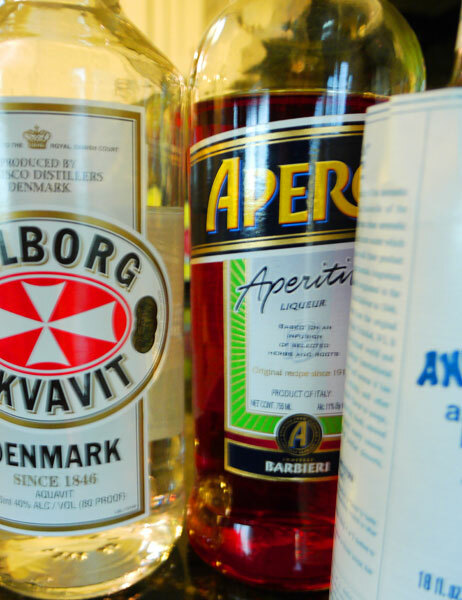 That tends to leave bottles of things like Aquavit lying around looking sad. But today I couldn’t take that sad little Scandinavian face any longer and decided to try it. Hey, I’m half Scandinavian myself and caraway and I go way back. A bit stumped I looked at all the other bottles hanging out with it and decided just to think about flavors and smells. There’s a lot going on in the flavor department with Aquavit, but at the same time I thought it could use a little sweet and citrus. So I grabbed Aperol. And rounded out the spice with Angostura. 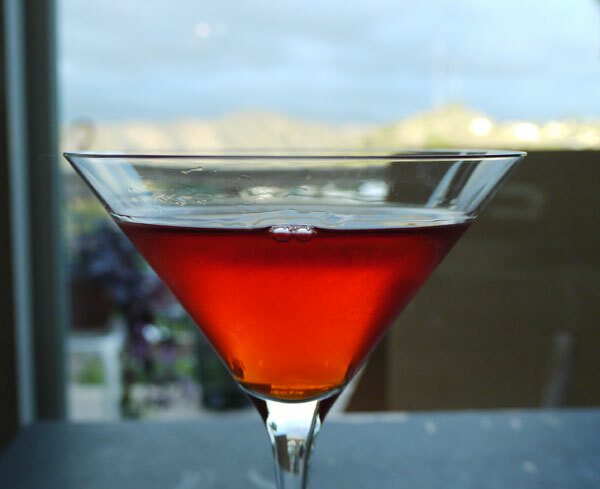 When using any kind of bitter aperitif like Aperol, a little goes along way. But I like that smack of bitterness you get, so I use more. If you’re not a huge lover, just add less. You should enjoy what you’re drinking after all. In a mixing glass filled with ice combine all of the ingredients. Stir to chill and strain into a chilled cocktail glass. Even though this is a cold drink, there is something very warming about all the spiciness you get from it. Underneath the Aperol, the Aquavit provides layers of fennel and caraway. I think that I might just go through all the weirdo random bottles I have accumulated in the past two years. Half a bottle of Ouzo? Check. Goldschläger? Really? Check. Be prepared folks. Previous Post: « How ‘Bout An Old Fashioned?